July 25 , by Mardi Robyn. You know how to make a sea stone ring, and a sea stone bracelet, why not a sea stone necklace to go with it! 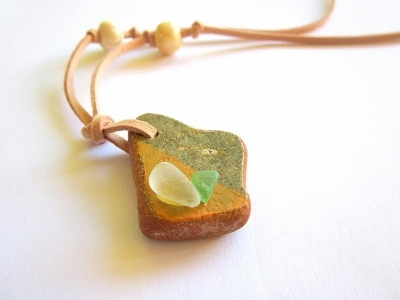 Keeping with the theme of sea stone jewelry, Zina shows how to make a trendy looking sea stone necklace!